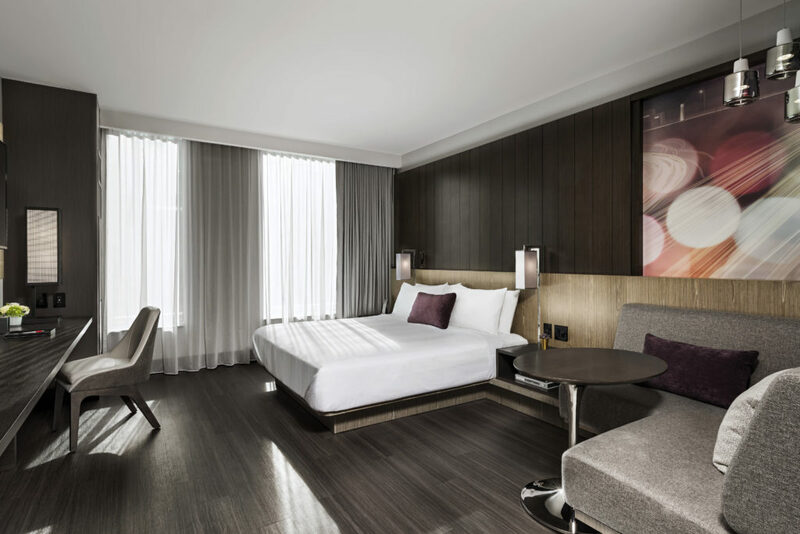 Toronto Marriott Markham, located in the heart of Remington Group’s Downtown Markham development, snagged an ARIDO Award of Merit for their guest suite design. The suites, designed by Quadrangle Architects, were unveiled in May 2018 as part of Toronto Marriott Markham’s grand opening. The new hotel is a vital part of Downtown Markham’s vibrant, culturally infused, mixed-use development focused on world-class design, modern amenities and environmentally-responsible, sustainable growth. According to Quadrangle principal Sheldon Levitt, the suites were designed with locally inspired accents, open closets and technology-inspired work surfaces. Quadrangle designers recognized for the award included Levitt, Erin Cram, Caroline Robbie, George Foussias and Panyada Wangpongpipat. For The Remington Group, it is yet another feather in the company’s award-winning cap. The growing Downtown Markham community has been recognized for a number of awards, including Gold as the best new development at the 2016 Canadian Shopping Centre Awards and Best New Community Built at the 2017 BILD Awards. The ARIDO award fits right in line with the forward-thinking, modern focus of the Downtown Markham development. The community features a variety of modern architectural elements and a multitude of avant-garde retail spaces, a contemporary art collection, which includes the Pride of Canada Carousel, featuring Canadian-themed sculptures made from reclaimed objects. In September, Downtown Markham unveiled the new home of the Yamaha Music School, a state-of-the-art facility offering individual and group music lessons for children and adults.